TGO Magazine “Best Buy 2015” Award Winner. 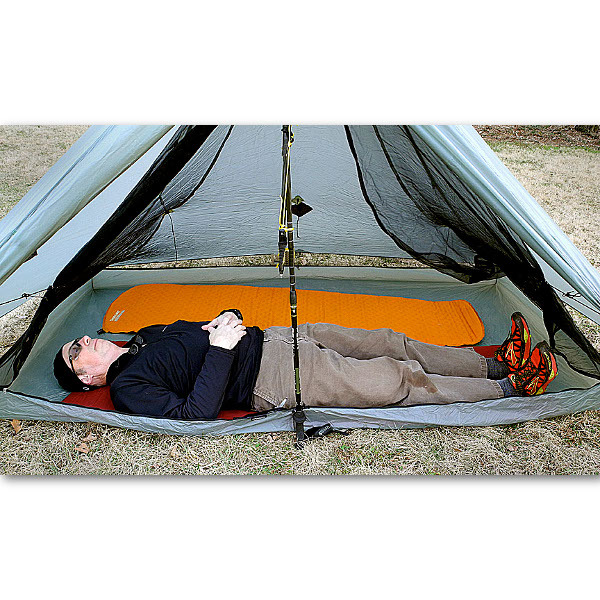 The DuoMid XL is the ultimate UL shelter for two (plus extra winter gear or a dog!) 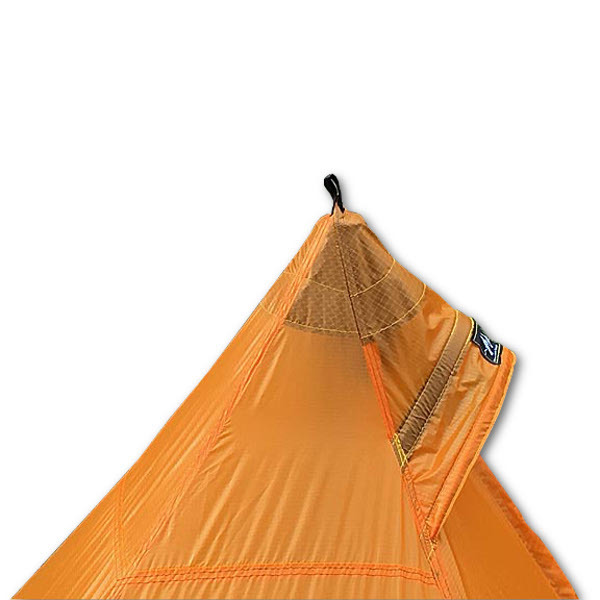 As strong, fast to setup, and capable in high winds and moderate snow as the DuoMid, with some truly XL features. The DuoMid XL is the ultimate UL shelter for two (plus extra winter gear or a dog!) As strong, fast to setup, and capable in high winds and moderate snow as the DuoMid, with some truly XL features. It’s a 30% larger, and it’s asymmetrical shape, offers 70% of the user space behind the one center pole, while the front 30% functions as a vestibule for gear storage, a dog, or a third person if needed. This offset design allows entry and exit in rainy conditions to help keep the sleep side of the shelter dry! 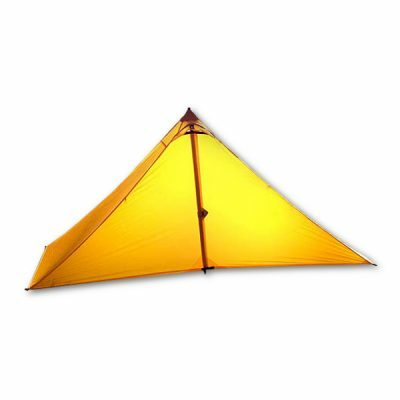 Single pole pyramid shelters like the DuoMid XL offer the fastest set up of any lightweight shelter design and because they don’t have any large vertical side panels (like other two-poled designs) they don’t buzz, hum, flap and roar in the wind! 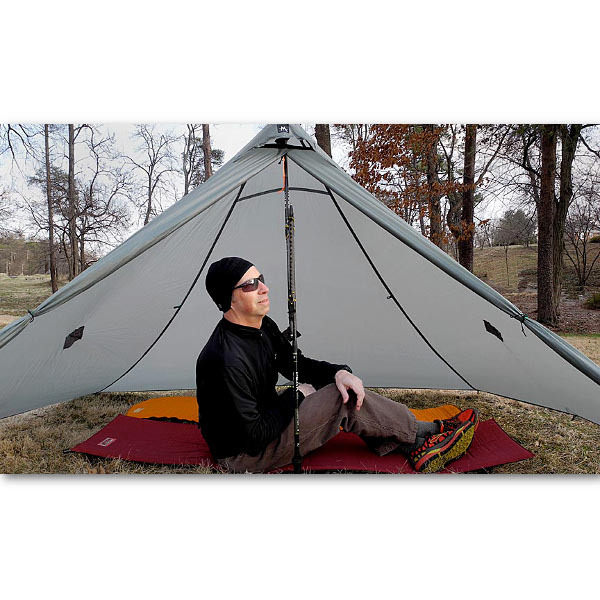 The DuoMid XL is a super bomber shelter with 17 tie-out points! • Extra room for two in all weather! • LargePeak Vent is held open by a flexible and removable wand and can be fully closed to stop any blowing snow from entering: Just pull out the wand and press the Velcro together- only takes 5 seconds! • A total of 17 tie-outs! • Four side middle panel tie-outs: Reinforced center panel tie-outs on each side for high wind. 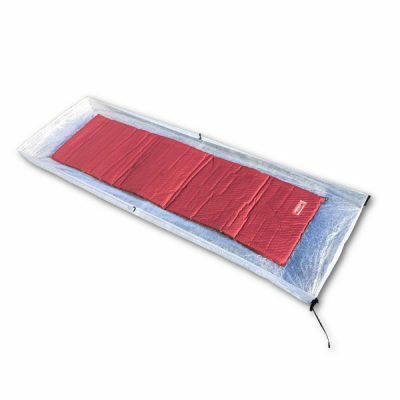 Use the supplied bungee cord on the tie-outs to reduce stress on the shelter. Only tighten slightly. 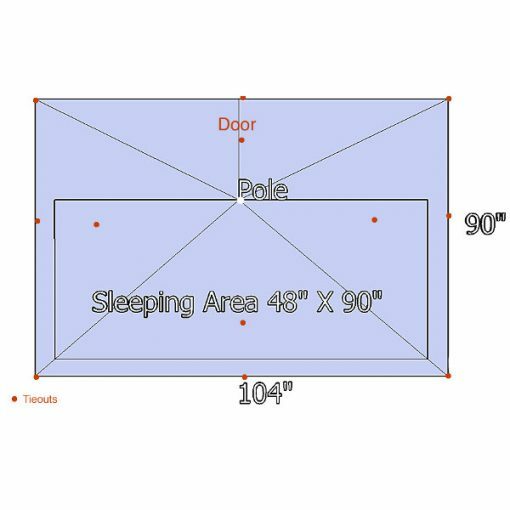 *Will fit two people, if either person is over 6’2″ it will be tight. Add 8 Easton Aluminium Stakes to your purchase. Easton Aluminium Stakes are 8 in | 20 cm and each stake weighs 0.4 oz | 12 gm. • Higher pitches require a rock. Or, use the included Pole Connector Strap, or a piece of guyline to connect two trekking poles together. • CAUTION: Some of the lightest carbon fiber trek poles use the compact Leki-style flex tips which are a smaller diameter than most trekking pole standard tips. The small tips do not fit the pole extender tightly and can cause enough torque to break the pole tips! Got cuben version as upgrade to my original cuben Duomid. At 6’2″ I found the original a touch cramped so for an insignificant weight penalty I opted for the XL. Absolutely love it and glad I took the leap. Enough space behind the pole for 2 or one slightly grumpy person (me) to spread out. The extra space really comes into its own when the sides are blowing in a bit but never get close to touching you. Awesome build quality as expected and a great design. Slowly transferring every MLD product from them to my gear cupboard but this is a definite keeper. 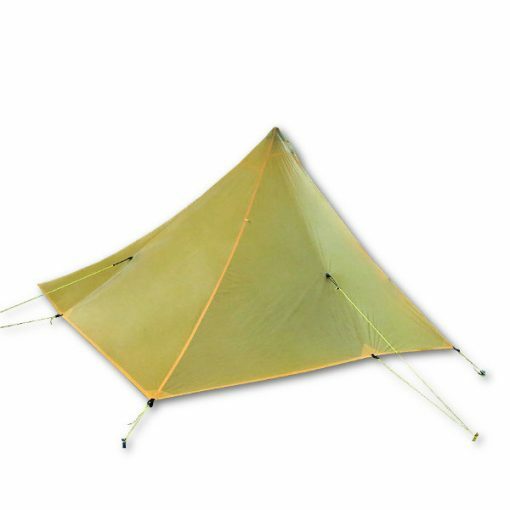 I’ll use one of the Trailstars for bad weather wild camping and this for everything else. 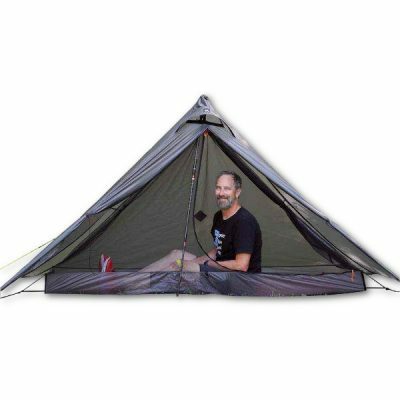 If I had to recommend one tent for (virtually) all occasions it would be the Duomid XL. Having the standard Duomid I made the decision that i wanted a little more space and height for myself and McTavish (my english Springer Spaniel). 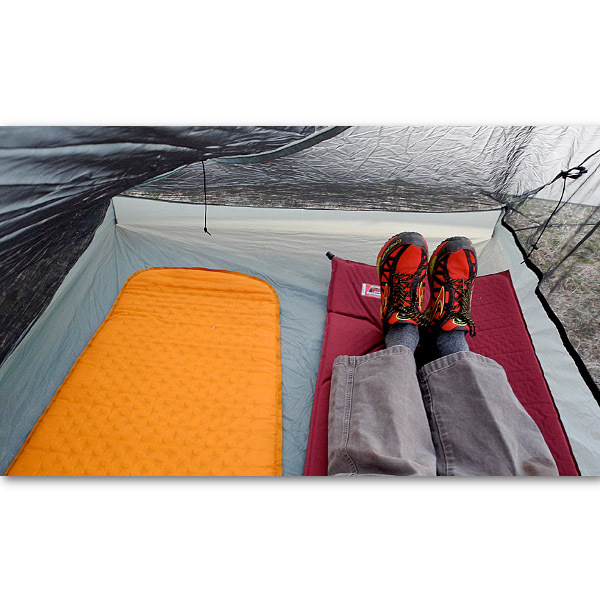 The Duomid XL has so much internal space its brilliant. 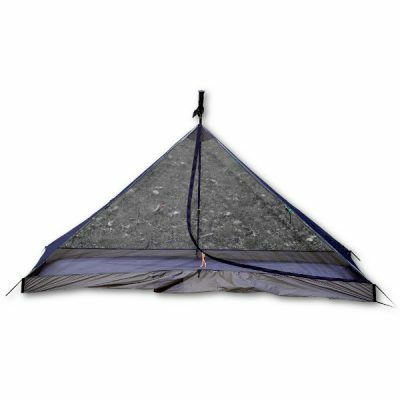 A very quick and easy shelter to pitch in most weather conditions and through a fair few trips out with it a very stable shelter too. Its sheds rain and the wind very well due to its 4 sided design and can be easily vented either through the inbuilt vent or by just raising it a couple of inches, hence i have had no condensation issues at all. I have purchased a fair amount of MLD products now and can say they are all very very good quality and at a great price. 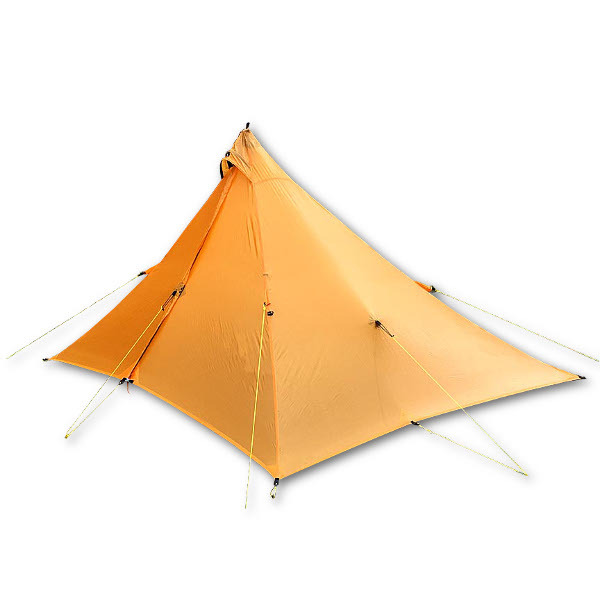 I have enjoyed this tent so much that i now have a Cuben Fibre version on order as we speak, my Silnylon version is still in excellent condition but i have read so many great reviews on MLDs Cuban tents that i just had to have one! I fullly recommend the Duomid range but especially the XL…. I used my new DuoMid XL for two weeks in Southern Chile in February and it was everything and more I had hoped for. It was easy to pitch and shed wind very well- and there was always wind. I kept it pretty nailed down to the ground, maybe more so than I needed, but still plenty roomy for my needs. In more benign conditions it will have plenty of room for me and my six foot tall son. Given my druthers, I would have placed the mitten hooks a bit higher but that’s a personal nit. I got the citrus orange thinking it would be a bit more cheery in prolonged dreary weather. I have to say it really grew on me, a rich deep color I’ve not seen in other tents. The DuoMid XL got a LOT of comments and questions when I was in campgrounds. I was happy to give MLD the word of mouth marketing it deserves. Finally, I was slightly apprehensive about the pole lashing system – and brought back up straps and even a piece of bike tire inner tube as a back up lash, but the strap system supplied worked really well – quite a clever arrangement. I slept hard as the wind howled.